I’m happy to be able to share this 5 star rated book today! It’s called Sentinels and it’s book #1 in The One True Child series by L.C. 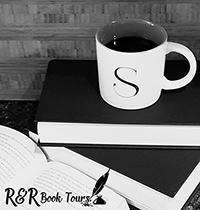 Conn.
Today I have a chapter from the book for your reading pleasure, and a giveaway for you to enter so please read on! The rage knew no bounds as he held the world in his fist. He had created it to be his and his alone—for the people he had brought to life to serve only him and his ways. They did not appreciate what he had done for them—they had wanted more, demanded more. Now his rage would be the last thing they knew as he squeezed the world and brought it all to an end, creating a vast explosion that lit up the darkness surrounding him. A pinpoint of light grew and spread, for a moment blinding him, and he roared at his displeasure of it. The light encompassed all, sending out waves, pulsating deep into the reaches of the universe. Fragments of the old world riding the shock waves were flung into the depths. Fiery-hot chunks burning brightly spun out of control, attracting rock and minerals to circle them. As the spread of the explosion began to slow, the fragments began to cool. In the centre of the explosion, the bright light continued to shine; from its core, a Being became conscious and rose from the wreckage, glowing brightly with swirls of white light under Its skin. The Being looked around and found a universe in chaos; order and stability were lost to the winds. It stood and looked out at the remains of a great world, gathering its memories to Itself. One large piece of rock It stood on, circling the star that warmed the ground at Its feet, and the Being began to weep for those who had been destroyed. All the history and the suffering they had endured under their cruel master brought forth great sobs from the Being. The tears It shed dripped down from Its eyes and onto the ground. So many tears for the loss of so many that a river began to run. The river flowed away from the grief-stricken Being and filled all the low spaces on the rock, collecting into great lakes and seas. The sadness the Being had felt now turned to rage, and It struck the ground with Its fist. The land split, and the great molten core that had not yet cooled swelled up and burst out of the gap It had made. The hot magma created new land and boiled away some of the water, creating a great steam cloud that hung in the sky. The distant star warmed the ground and condensed the water until the clouds were so sodden that they dropped from the sky. As the rain fell, the sunshine created a perfect form. An arc of light split into seven perfect shades of colour that stood out from the barren and dark landscape. The Being stood on an upthrust of rock and wondered at the amazing vision; It did not see the dark one approaching. “You are not welcome here; this is my world, my universe. Who are you?” the dark one demanded of the Being. It turned to face the form that approached and recognised him as the being responsible for the turmoil that now reigned over the universe. “I am from the light. The source of which is due to you, and in this place you shall never have authority. Never again will you oppress a people and use them for your own ends,” the Being said back, Its hands clasped in front of It and a sadness still in Its eye. “From my destruction came your creation. You are my being and you shall bow down to me and my wishes.” The darkness grew before the light, looming large over It. The Being looked past the evil at the large rainbow and saw it in its magnificence. From the single source of light, the great star that was shining down on the earth, light split as it hit the crystalline drops of rain and splayed out in dazzling colours all arrayed in order. If this monstrosity that stood before the rainbow was Chaos, then this Being who marvelled at the spectacle should be Order. Slowly Order reached down and drew from the centre of the world the energy that spiralled there. It pulled it in from the area around it and filled Itself up until Order thought It would burst. Order sent out Its will and split Itself into seven, each figure to be a Sentinel to guard the world that Order wanted to protect. A different nimbus of colour swirled under each of their skins: red, orange, yellow, green, blue, indigo and violet. The seven Sentinels stood together and faced Chaos. Chaos stood his ground and stared at the beings before him, his anger rising inside at the defiance of the light and what It had done. “You shall not overcome me. I will rule you, no matter how many there are of you—or you shall all die!” he screamed at them. “We are together; we are order. You will not reign over this world, over these lands. We have come to protect them, and it shall be beautiful and peaceful. Chaos has no place in this world. We banish you and beg you, do not come back to this place,” the seven said together. The group lifted up, their own rainbow dancing high into the sky and each split apart to form their own group of seven in order to protect the world from Chaos. They spread across the face of the world, each taking up an area to defend and protect. Chaos raged against the defiance of him. He fought against their barriers and defences, and the land buckled under the strain of his wrath. A large stone he threw at the world, seeking to destroy it; but it only skimmed the surface and began to circle the world, and there it stayed. In the land to the north, they formed the great stone circle where Order had first declared Itself a conduit for the power of the beings. Each group sent out over the world to protect a piece of it, their own special areas. Sacred sites were formed in each area to stay connected to the stones and to the original group. The rage of Chaos slowed, the wounds on the surface of the world still raw and weeping molten rock. Chaos departed to think on how to deal with the problem of the light and Its children. His attack had been useless, and he raged around the universe destroying stars and planets in his path. Meanwhile, the little world flourished and changed in his absence. Seeing the bare rock, the Beings brought forth the soil to cover it, grinding the surface of the rock to dust and releasing the minerals necessary to start life. The grass to hold it together, plants to decorate and bring shelter and sustenance. At first the groups worked together, then they became interested only in their own pieces to protect. They moulded the landscapes to their liking, emptying great seas and moving land, easing the damage the dark one had inflicted. They created animals, who began to roam the world seeking out new, brighter, and fresher pastures to graze on‒some with the urge for flesh. Chaos was still out there watching their progress and seething, feeling his own power fade with the lack of worshipers. A large rock swept past him, grazing his shoulder and leaving a trail of vapour and ice in its wake. He took the great rock up in his mighty fist and sent it flying to the world the Beings were creating. It hurtled at great speed and when it hit, it was with great devastation. It fell to the earth with a mighty explosion, sending debris and ash high into the air. The flames from the explosion spread out with concussive force and almost consumed the tiny planet, destroying all their work in a flash. The cloud from the debris blocked out the sun and to help heal the damaged world once more, the Sentinels called forth ice and snow to cover the land. So thick it lay on the ground that the seas dropped and the stones were buried deeply under the snow. Chaos watched with great delight at the destruction he had almost caused; he sent more and more in the path of the planet, leaving great craters over the surface, most hitting the circling stone as it protected the world. It was a cold and grey piece, but viewed from the planet, it was beautiful and reflected light in the dark hours. With each attack, the Beings used their abilities to fix and mend the damage, creating great crevasses that filled with water and were inhabited by creatures that would never be seen. The group that guarded the sacred stones met, and together they began to banish the ice and snow that lay over their lands, the effects of the great impacts from Chaos. Great valleys were left from the carving of the ice, and it pleased them to fill some up with the water left by the enormous melting glaciers. The Beings walked the earth and were unhappy to find that not all the creatures they had carefully created survived the great freeze. Some had adapted, and they looked to that as a sign. A group to the south had created a creature who seemed to be very hardy and adaptable. These they had made to be in some ways in their own likeness. The creatures learned quickly and soon grew to dominate their environment. They moved about the earth, searching further and further afield, meeting with others and merging together, always adapting to the changing conditions. At one of the meetings of all groups, they came together so Order could see their work. The Great Light saw and was pleased. It also saw into the future and the necessity to come. As It split again, Its wishes were made known to those who came, and they went out into the world and greeted the nomadic peoples in their areas. The ice and snow still covered most of the sacred lands, reaching down to the lowlands. Very carefully, the Sentinels cleared the stones and the valley below, where they had met after Order left them. The great pillars of stone stood between them, reaching up into the sky. The greatest of the Sentinels and the closest to the one. They pushed their robes from their faces, feeling the warmth of the closest star as the ash and dust were starting to leave the atmosphere, and sat to discuss the plans of the One. The lights of their colours played in their skin, swirling, sparkling and dancing in the rays of the sun. Their abilities were sharper and more intense, than those sent out into the world. As they leant up against the stones, they connected with the others, and the collected knowledge was then passed into the stones along with the enormous energy from the earth itself. “It must be so. We must go out and find those who wish to live in our lands peacefully,” Red said. “It does not matter if they wish to be peaceful. These people will fight for survival and to protect their own. I have already seen it,” Green added. “Do we all agree that the abilities will be passed to these people and down the line?” Indigo inquired. “It is the will of Order that it is so; we must obey,” Violet commanded. “My brothers and sisters, our lands are the most sacred and must be protected well. The need to have one of these people we create to guard the way to these stones is also important to protect the sacred stones and the access to our knowledge. This line should be constant and unbreakable,” Blue spoke. “I should like to offer one of my line to the task. It shall be bred in them to be so linked to this place. The valley below shall be their home,” Red said. “It is barren and bare; there are no resources there to sustain them,” Orange protested. Yellow stood and went to the edge. In her hand she created a great staff, and she plunged it into the ground. A mighty crack split the rock and water poured forth, tumbling down the hill and spreading fast into the valley. When she returned, the staff was gone. “There; water is a must for the survival of these people. As for food, we shall place plants and game generously so they can be sustained,” Yellow told them. “I have seen these people; some strip the area bare and move on, leaving nothing of sustainable value behind,” Green told them. “Then I shall teach them to harvest wisely and only take what they need. If you could keep your own lines from the area, it will sustain them,” Red asked. “They will need to breed with others; I do not think it wise that they breed with themselves,” Violet spoke up. “Others will come to seek wisdom from the light here at the stones. They will have contact with the outside world,” Orange said. “Are we in accord, then?” Green asked. “We are,” they each intoned. “We will then part and find those that we need.” Indigo called the meeting to an end. The Sentinels wandered the sacred lands; from themselves, they created the blood lines they needed. Red’s line he secured as soon as possible to the valley below the stones. In the river at the end of the valley, fish, large and fat, sustained them as well as the berries and other fruits of the forest that hid the valley from view. The line of protectors he bore was strong in both ability and physical strength, dark of hair and with bright blue eyes. The task to protect the stones Red left to the female line. The other people he fathered were spread wide, all distributed to guard the ways to the stones. They took to themselves the sigil of a boar—tenacious and hardy, protective of its young. Orange went to the west and had the most land to care for—mostly rugged and hard to work, mountainous with great deep lochs and islands that stood alone out in the sea. The children he created were a strong, warrior-like people who took to the water and mountains alike. An eagle became their sigil, as it flew so high and could see so far. The water people became raiders, and those in the mountains were wild but loyal. Yellow had lands just to the south of Red—arable and beautiful, with rolling hills and valleys. Her people grew crops, fished, and hunted. They lived in large family groups and were creative. They tended to roam the area, never settling down in one place for long. A bear they took for their own sigil. Ferocious in a fight, but tender-hearted. Green headed south and had the smallest of the lands. His people became diplomats and traders. They were wise but also fiercely protective of the border. They were sometimes slippery to deal with but were never deceitful. A serpent became their sacred symbol. Blue went north and east. His coast line was rugged and bore the brunt of the heavy weather that blew in from the great sea. Great forests covered the inland parts, and the game that lived there was plentiful. The people he brought there and fathered were hardy, determined, and proud of their lands. A great horned stag they took for their symbol. Indigo’s people were cunning and wily. Their lands were to the south and had the largest border, which they protected jealously. Their skills sent themselves out to learn as much as possible from others; they were loyal to those who helped them and their family. The wolf was a perfect fit as their sacred animal. Violet’s lands were to the east, and the only Sentinel she had no boundary with was Orange. Her people were gentle and peaceful. They were well protected and placed in the land. With highlands and coastal plains, they were leaders and planners. Their personalities could be big and brash, but their hearts generous and loving. Bullish sometimes by nature, the great horned bovine became their symbol. Wandering the lands, the Sentinels grew their bloodlines, gently protecting the families that would play an important part in the future Order had seen. Red and Orange tampered quite a bit with their descendants, creating many warriors utilising the strength and mind-touch abilities. Indigo and Violet tended more towards intelligence in their people, creating those who were strong in the mental abilities. Green produced those who became adept at healing and the use of plants, also Whisperers. Yellow and Blue distributed their abilities to their people equally. While the other Sentinels sired many sons and daughters, this final pair was very careful on how many descendants they produced. Chaos created the world but didn’t like how it ended up so he destroyed it. Out of the destruction came Order and beings known as the Sentinels. From two Sentinels came the One True Child, Carling. Carling is raised as a child in the world being raised with all things good. But then she learns of evil and darkness and her destiny, to stand up to Chaos who wants to destroy her. Carling has to leave the only home she has ever known to learn how to use her abilities and become the Sword of the Order. This is an amazing world that has been created with an unexpected savior. Carling is only thirteen when she learns about her past and who she is to become. She is scared beyond measure but she will either grow into her role or be stopped by Chaos. It was so easy to fall into this colorful world. Drawn into a wonderful story that is brutal and amazing at the same time. I felt for Carling but she becomes forged into the strong weapon the world needs. I love this story and can’t wait to read the next book in the series. The Sentinels will appeal to any fantasy lover. Make sure to get your copy. Thanks again Jess for your wonderful review! You are welcome. Thanks for the opportunity to read such a great story! !